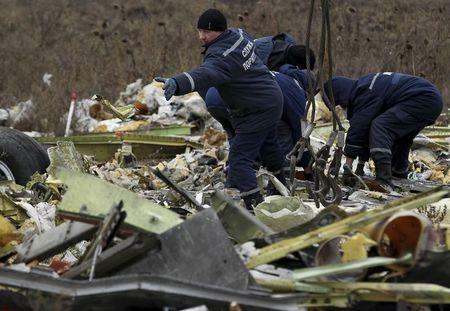 MOSCOW (Reuters) - Russian federal investigators said on Wednesday they had testimony from a former Ukrainian air force mechanic supporting a Moscow theory that a Malaysian passenger plane downed in east Ukraine last summer was attacked by a Ukrainian fighter jet. Moscow has stepped up a campaign denying any responsibility for the downing of the airliner on July 17, 2014, with the loss of all 298 people aboard. Several versions presented by various Russian officials, however, are contradictory. A state arms producer that makes the BUK air defense system believed to have brought down flight MH17 - though accounts differ on who fired it and from where - said on Tuesday the Boeing aircraft was hit by a missile deployed by Ukraine and not widely used by Russia's military. Russia's federal Investigative Committee, which reports directly to President Vladimir Putin, said a Ukrainian mechanic had testified that an SU-25 military jet took off for a combat mission on July 17 and returned with no munitions. The committee gave the man's name as Yegeny Agapov and said he was serving in the first brigade of the Ukrainian air forces based in the city of Kulbakino in south Ukraine. Reuters was not immediately able to independently verify that information. Responsibility for the downing of the plane remains a sore point in the conflict in east Ukraine, where more than 6,100 people have been killed in more than a year of fighting between Kiev government troops and pro-Russian separatist rebels. 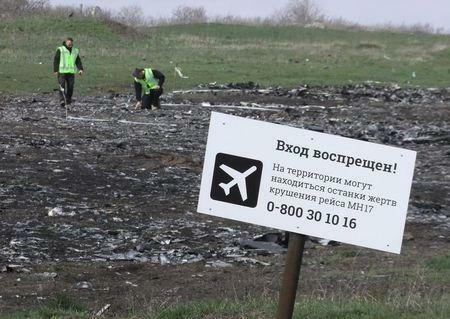 Dutch investigators leading an international investigation into the crash, because of the large number of Dutch victims, say their leading scenario is that it was brought down by a Russian-made BUK surface-to-air missile. The West accuses pro-Russian rebels of firing the missile. Russia denies Western accusations that it has sent troops to eastern Ukraine and supplied sophisticated air defense weapons, or any arms, to the rebels.